The following are two pieces I wrote quite a few years ago but they fit in with my theme of the last few posts of “memory”. The first opportunity I had to return to Holland came in 2003. The family had grown up and I had finally accrued enough points to take “Long Service Leave”. Up until this time I had a habit of quitting just short of the qualifying time. That says something about my stickability. 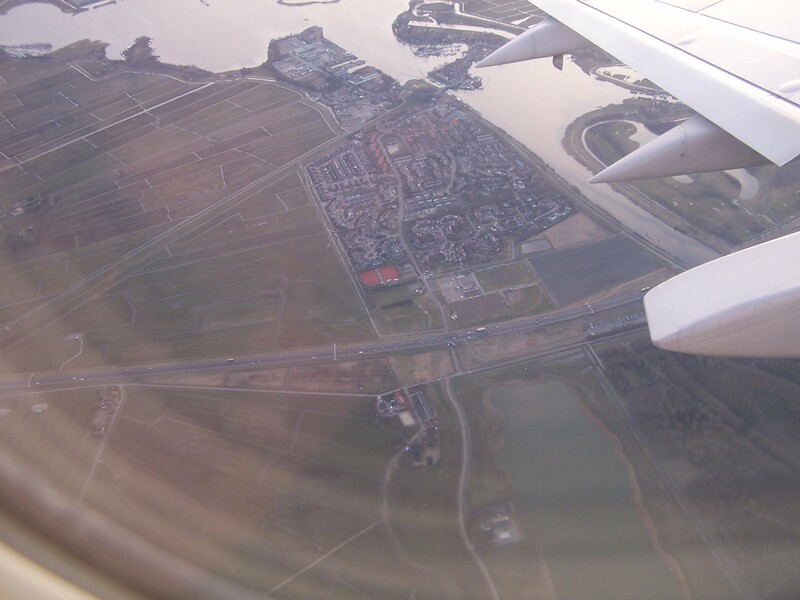 In February of 2003 the Lufthansa 737 banked over Schiphol and glued to the window I saw the flat water-crossed land for the first time in 49 years – and really – the first time in my life. As my nose was glued to the little oval window a wave of amazing emotion travelled through my whole body. I was coming home. As my wife and I drove through Holland it seemed so familiar. It was a familiarity developed from family and parental stories. Most of this I had never seen and I certainly hadn’t remembered. But I had seen it through my parents’ stories. How real and vivid they were and how real they were now as I saw them. Holland, more correctly, the Netherlands is like no other place. Not because it is spectacular or grand – it isn’t. Its very ordinariness; its everyday life, towns, cities, factories, offices, schools, homes, parks and gardens in which people live their everyday life is so different from my experience – and I imagine the experience of all people not Dutch. The orange blinds on multi story housing blocks, the criss-crossing canals and sloots, the bikes, the flatness, the canal crossing the highway, the dijks holding back enormous rivers, while villages nestle in their shadow … and the bikes, the ubiquitous bikes with grannies and grandchildren all making their way resolutely, efficiently and without fuss. Forty nine years is a long time and an enormous distance. I met members of my own family. We shared names and heritage but our experience of life separated us. The one thing in which we had been well indoctrinated was not whether we supported Feyenoord or Ajax, but food. Dutch pancakes, appelstroop, speculaas, King Peppermints, Zoute drop, rookworst, stroopwafels, candy and chocolate hagel and … The tastebuds have a heritage that outlasted time and place. 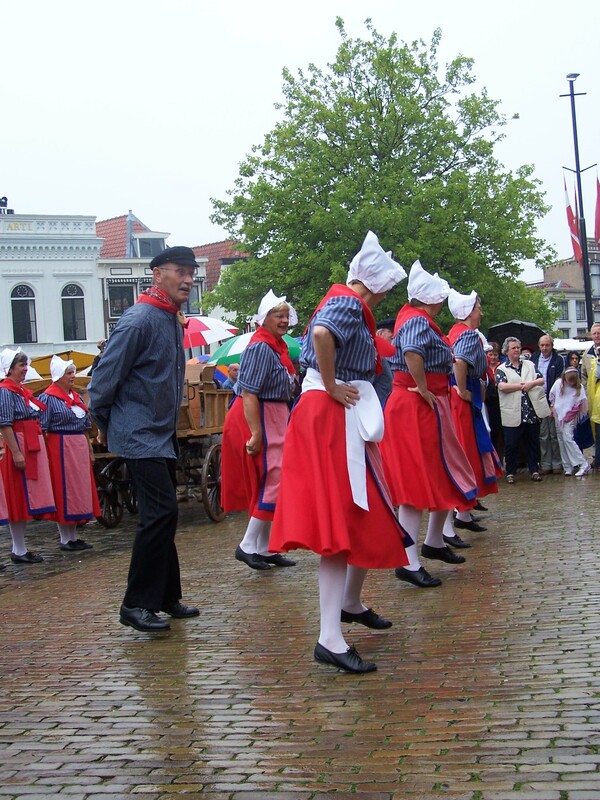 As we drove into a Dutch village late on Christmas Eve in 2005 we heard the church bell ring and we saw people walking from every direction to the church in the centre of town. Coming in from the wintry weather the church was warm – in welcome and temperature. Even though the Christmas Eve service was traditional there was still a sense of anticipation and excitement. For our whole family the experience was new and different. My cousin Piet who had the Stok musical gene that I missed out on was the music and choir director. That family connection made the experience more personal and little did we know then that was one of the few Christmases Piet had left. A week earlier the four younger girls had flown in from Australia. For a few days we were involved in a lightning trip around the UK: London, Bath, Coventry, The Lake District, Greta Green, Lords and, of course, the Lego shop in Milton Keynes. Now it was time to visit relatives and see Holland – the place of their father’s and grandparents’ birth. Ocean Grove started life as a Methodist holiday resort in the 1880s. When my family arrived in the 1950s remnants of its origins were still clearly visible. Two large guest houses, the Chalet (previously Coffee Palace as one would expect in the temperance climate) and the Cathkin, still stood. There was also the Methodist camp in the centre of town and other camping places such as the camping huts on the corner of Eggleston Street and Asbury Street. It was a “dry” town. Barwon Heads was the closest place to buy a beer. It was good for one’s health to stay off the Barwon Heads – Ocean Grove road after 6pm when the good husbands of OG returned along the winding road to their loving and patient wives. Six o’clock closing (with its last minute swill) was still law in those days. By the time we arrived it had become a popular beachside resort. Large camping grounds and numerous holiday homes meant the population of Ocean Grove swelled from the hundreds to the many thousands over December and January. As a teenager this phenomenon was the basis for numerous holiday jobs – the bakery, beach cleaning, toilet cleaning, garbage collecting and other character building occupations. For migrants a home was easy to find from February to November as the holidays houses were empty but come December alternatives had to be found. As a consequence we lived in a number of places around the town. If my adding is correct we lived in 7 houses in 15 years. My parents bought the last one in which we lived for half of that time. Many of these houses were cold and draughty fibro structures as they were built for summer – not winter occupation. We were evicted from one because I rolled a tyre down the driveway straight through the fibro back wall of the garage. I wasn’t popular with the owner or my parents. My recollections of OG Primary School are mixed. I lacked confidence and as a result was picked on. Nowadays it is called bullying. In those days it was part of growing up. Some teachers were bullies but others fired my imagination. One, Marge Fisher, has a special place in my memories. She was imaginative and inspirational. Mrs. Fisher opened our imaginations through artifacts she would pull out of her ‘dilly bag’, the books she read to us and places in the world she described to us. She was different to the majority of teachers we had and she sowed in me a seed for a future vocation. students in the Grade two class photo. Because I had learned English very quickly I often became the class translator when another Dutch kids arrived. I was none too pleased as my aim was to fit in without being noticed. I had observed what happened to one student in my class when he wore lederhosen to school. I didn’t want that ridicule to happen to me. In my teen years I joined the tennis club in the summer and the newly formed football club in the winter. I wasn’t particularly good at sports but it was a great way to be involved in the activities of the town. In the first year of the Ocean Grove U15s my mate Ron and I were the equal top goal scorers. We had amassed two each. That year we didn’t judge our success by wins but by how few goals we lost by. Also around this time I went to dancing lessons at the local hall. I thought this might help in overcoming my social awkwardness and make me less inept at the end of season events that the tennis and football clubs had. Sadly, I don’t think it did. Only a few roads were paved and most were dust tunnels in the hot winds of summer and mud channels when the rains arrived. We had street lights but they were turned off at midnight. The sewerage system hadn’t come to the town. If you were well off you had a septic tank and if not the ‘dunny man’ also known in more polite circles as the ‘night soil carter’ would visit your outhouse on a weekly basis. If family visits to the toilet had been too frequent you had to deal with excess yourself. I remember a great sense of freedom. Riding our bikes to Barwon Heads or Point Lonsdale was a regular occurrence. A special terrifying thrill was riding one’s bike across the Barwon Heads bridge as it required skill to avoid the large gaps between the red gum planking that made up the bridge surface. If the front wheel went into the gap and jammed, it made for a fascinating aerial experience. Fossicking in the bush behind Ocean Grove (called ‘Cuthbertsons’ at the time) collecting tadpoles, or catching yabbies, wandering around the beach and the dunes were all activities that raised no parental fears as the population kept an eye on each other kids. My father found out about some of my nefarious activities because his network of parental spies had informed him about my behavior. There was a reasonable collection of shops in The Terrace but supermarkets had not yet made their impression on Australia. Skinner’s general Store catered for most of our needs from groceries to toys and clothes. It was also an era in which a lot of services still came to your door. The butcher, ice man, baker, milkman and fruit and vege man (my dad’s trade) regularly visited the citizens of Ocean Grove. There was even a travelling draper and of course there was the Rawleigh’s man with his suitcase of ‘medicines’ going door to door. Car owner ship was normal but often the husbands used these to go to work in Geelong. The result was that many wives were stuck at home.